Castiel Confessions. . Wallpaper and background images in the Castiel club tagged: castiel angel of the lord supernatural misha collins tumblr. This Castiel fan art might contain traje de negocios and juego de negocio. 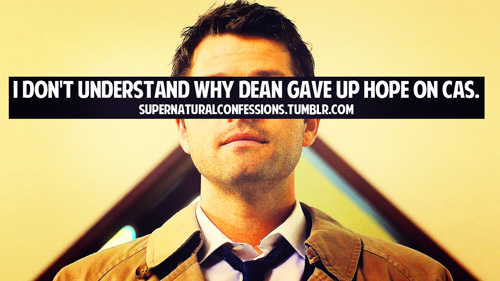 I don't think Dean gave up on Castiel I think he just pissed off at Castiel.